WP CAMP will organize a water polo campus in Malaga next summer! 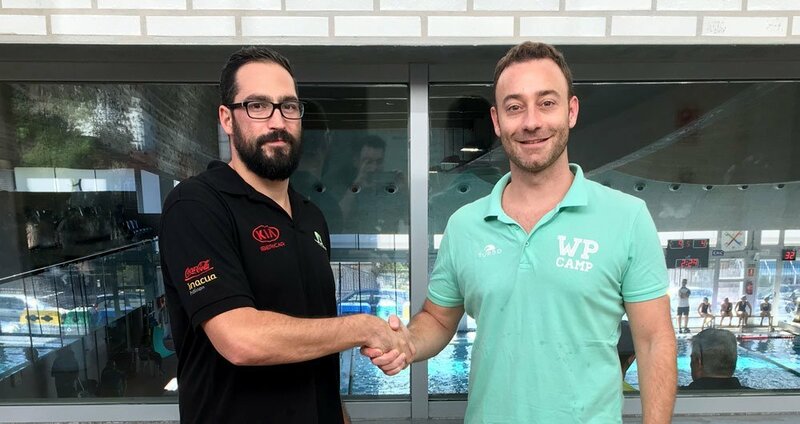 WP CAMP and Waterpolo Campus Internacional have reached a collaboration agreement whereby we will take over from the two previous editions held successfully in Granada and Inacua Málaga. From 15th to 21st July 2018, those Málaga facilities will host the first WP CAMP BEACH water polo campus. For player born between the years 1999 and 2008, this Spanish water polo camp will gather all the elements to enjoy water polo and summer activities on the magnificent beaches of the Costa del Sol of Andalucia. The objective of the WP CAMP BEACH water polo campus is the technical perfection of the players and the maximum fun with boys and girls from all over Europe. Therefore, during the week there will be double training sessions and several activities to enjoy all the leisure and adventure of the Málaga coast. As an added value, this water polo campus will be bilingual: Spanish and English spoken. The attendants will be able to reserve their place in external regime (with approximate time from 9AM to 6.30PM) or internal (full-board accomodation). In line with the rest of our Spanish water polo campuses, participants will be entitled to discounts if they are former WP CAMP participants, have a second enrolled brother or attend as a group of 5 or more players from the same club. Waterpolo Campus Internacional organized two water polo campus in Málaga and Granada during the summers of 2016 and 2017, bringing together about 80 players from all over Europe. The new camp will be managed by WP CAMP, but we will have the same technical structure as in the previous editions, as well as some of the most veteran coaches of our campuses. In addition, the facilities and accommodation will be maintained in Inacua Málaga and the nearby Residencia SRM Arunda, which is just being completely renovated. Registration is now open. Once the reservation form has been sent, the interested person will receive an email with all the steps to follow to complete the process. During the next months we will inform you about all the news of the WP CAMP BEACH, the new water polo campus in Málaga.